The Golden State Warriors finally know who their opponent will be in the Western Conference Semi-Finals. While some had hoped it would be the Los Angeles Clippers, it ended up being the young Utah Jazz team who is experiencing their first post-season run with this group of guys. The last time these two teams met in the postseason was exactly a decade ago. It seems like it was yesterday that Baron Davis and the Warriors were taking on Carlos Boozer and the Jazz in the 2007 West Semis. How does time move so fast? 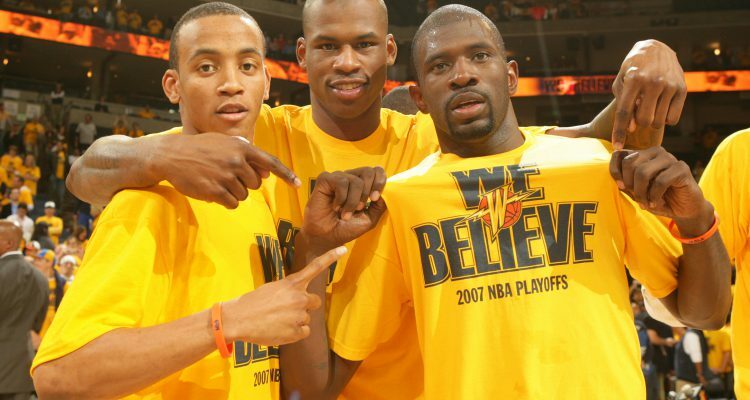 Has it really been 10 years since the “We Believe” team graced us with their presence? Yes, it has been a decade since the Warriors electrified this city with one of the greatest upsets in sports history. All of you die hard fans remember. The Warriors used to be one of the worst teams in the league, but in 2007 they brought a lot of joy to the Bay Area when they shocked everyone and defeated the number one seed Dallas Mavericks in the opening round of the Western Conference Playoffs. The Mavericks had the best record in the NBA and were poised for a long post-season run, but Davis along with Monta Ellis, Jason Richardson, Stephen Jackson, Matt Barnes and Al Harrington dominated on the court, giving the NBA one of the greatest upset in NBA history. 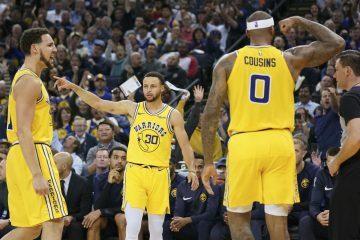 The Warriors would go on to face the Jazz in the second round, where the Jazz would go on to win the series 4-1 and advance to the conference finals. While the “We Believe” team didn’t win a championship, it did enough to re-energize this area and fan base. The Warriors had not been relevant in some time and the “We Believe” team changed all of that. Now, as the Warriors try to win their second championship in three years, the team will honor those who were a part of the “We Believe” era during Game 1 of the West Semis. It’s fitting that the Warriors are taking on the Jazz, the same team who ended their magical run in 2007. Matt Barnes will have the honor of seeing his old teammates, but at the same time still contributing to this team as they chase a title. There will be limited edition “We Believe” available for purchase if you never had a chance to get your hands on the original. OAKLAND, CA – The Golden State Warriors will celebrate the 2007 “We Believe” team on Tuesday, May 2, during Game 1 of their Conference Semifinals series at Oracle Arena, the team announced today. The celebration takes place one day shy of the 10-year anniversary of the 2006-07 Warriors completing their historic First Round upset over the #1 seeded Dallas Mavericks on May 3, 2007, when they posted a 111-86 victory in Game 6 at Oracle Arena to become the first #8 seed to prevail over a #1 seed in a best-of-seven series. 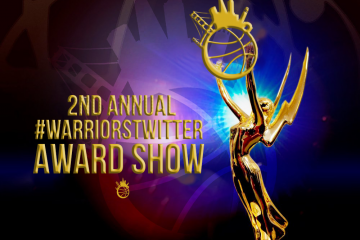 Several members of that iconic Warriors team will be on-hand for the celebration, including Baron Davis, Stephen Jackson, Jason Richardson, Monta Ellis, Al Harrington, Kelenna Azubuike, Adonal Foyle, Patrick O’Bryant and Zarko Cabarkapa. Another member of that team, Matt Barnes, is currently playing for the Warriors. To help celebrate the occasion, limited-edition “We Believe” 10-Year Anniversary t-shirts will be available for purchase at WarriorsTeamStore.com starting Tuesday morning, and at Oracle Arena beginning on Tuesday night. 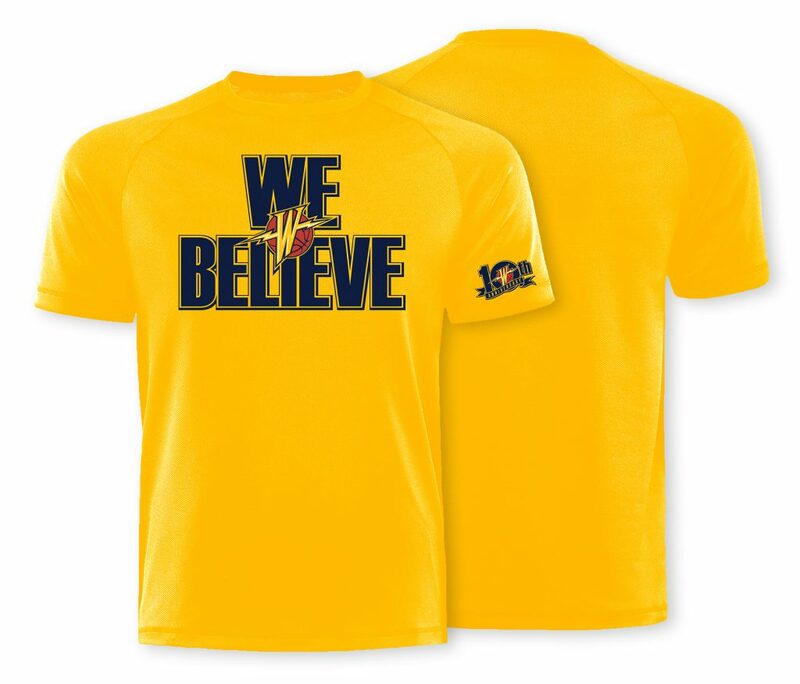 These special gold t-shirts feature the same “We Believe” logo that was emblazoned across the front of the fan t-shirts given away at Oracle Arena throughout the 2007 NBA Playoffs, with a special 10-year logo on the sleeve. Led by Head Coach Don Nelson, the 2006-07 Warriors finished the regular-season with a 16-5 record over their final 21 games to finish with a 42-40 record and claim the #8 seed in the Western Conference Playoffs, marking the team’s first winning season and postseason appearance in 13 years. 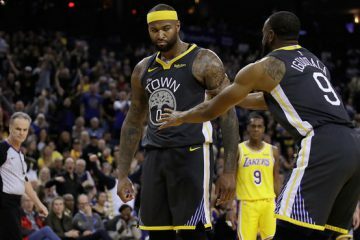 Facing the heavily favored Mavericks, who finished the regular-season with an NBA-best 67 wins, Golden State won Game 1 in Dallas to steal home court advantage and returned to the Bay Area with the series tied 1-1. Having waited more than a dozen years to host a Playoff game, Warriors fans packed Oracle Arena long before tip-off of Game 3 and roared as the Warriors won Games 3 & 4 at home. After falling in Game 5 at Dallas, the Warriors returned to Oracle Arena and over 20,000 fans wearing their gold “We Believe” t-shirts for Game 6. Holding a two-point lead early in the third quarter, the Warriors went on a 24-3 run that blew the game open in an eventual 25-point series-ending victory. Limited tickets for the We Believe Celebration and all home games during the Western Conference Semifinals are still available. Fans looking to attend Warriors games during the 2017 NBA Playoffs are encouraged to purchase tickets directly from the team by visiting warriors.com, calling 1-888-GSW-HOOP or at the Oracle Arena Box Office. 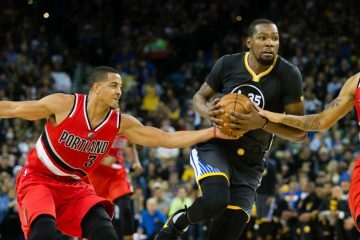 Warriors.com offers fans the only verified marketplace for all Warriors ticket needs, including official resale tickets from Season Ticket Holders and other fans, that is guaranteed by the Warriors organization. The Warriors resale marketplace offers a safe and convenient way for fans to access all levels of tickets throughout the regular season and playoffs. The Warriors have sold out 232 consecutive games at Oracle Arena and currently have a Season Ticket Priority Wait List of over 39,000 members. For more information on the Golden State Warriors 2017 Playoffs, presented by Kaiser Permanente, visit warriors.com.